This ottoman is part of the Adirondack Collection and can be used with the Hamilton, King Hamilton or Classic Westport Chairs. 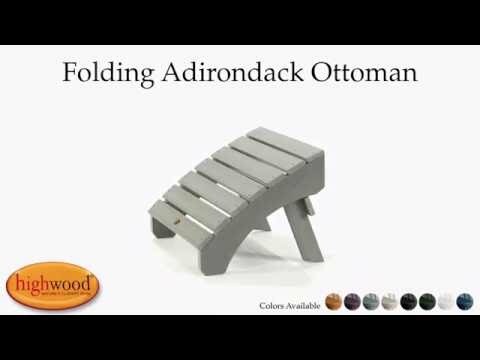 Any lazy afternoon in your highwood Adirondack chair will be made even more comfortable with this footrest. The piece folds down for easy storage and transportation and is extremely popular as an add-on for your chair. No assembly is required, just take it out of the box and unfold. Last year we purchased 6 adirondack chairs and this season we decided to add the footstools. We are so glad we did as our chairs are even more comfortable now. No assembly needed on these.